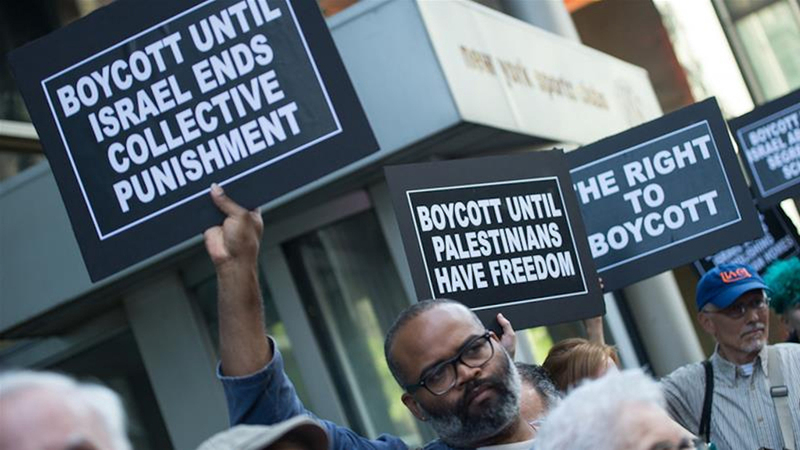 On Monday, in a victory for the American Studies Association (ASA) and the right to boycott, a district court in Washington D.C. dismissed a lawsuit seeking to deter academic associations from adopting boycotts for Palestinian rights. In dismissing the lawsuit, the court held that “nowhere” could the plaintiffs, who opposed the boycott, explain how they were injured by the boycott. An injury is a necessary requirement for the lawsuit to go forward. She noted that the lawsuit was also an attack on the U.S. Campaign for the Academic and Cultural Boycott of Israel (USACBI), which many of the individual defendants are affiliated with. The Louis D. Brandeis Center, a pro-Israel group, sued the American Studies Association (ASA) in April 2016 over its resolution to boycott Israeli academic institutions. According to the court, arguments in the case had “danced around” the inability of the Brandeis Center to show that the Plaintiffs suffered enough monetary damages to warrant a federal case. “The waltz has now reached its crescendo, and Plaintiffs have been found wanting,” wrote United States District Court Judge Rudolph Contreras in his dismissal. ASA members passed the resolution in 2013 by a 2 to 1 margin after months of open debate. In the aftermath of the vote, Israel advocacy groups undertook a widespread campaign intended to undermine the ASA’s resolution and deter other associations from following suit. In addition to the lawsuit, backlash against the ASA boycott included a wave of state legislative attacks on the right to boycott, condemnations by university officials, a complaint to the IRS, and even death threats directed at individual ASA members. The court’s decision comes in the context of a broader federal assault on the Boycott, Divestment, and Sanctions (BDS) movement for Palestinian human rights. Last week, the Senate advanced debate on a resolution seeking to encourage local laws that infringe on the right to boycott companies that profit from Israel’s human rights abuses. Since the lawsuit began, Donald Trump appointed former Brandeis Center president Kenneth Marcus as the Assistant Secretary for Civil Rights in the U.S. Department of Education. Part of Marcus’s agenda was implementing a widely-criticized State Department definition of anti-semitism that would classify virtually all criticism of Israel on US campuses as anti-semitic. Palestine Legal joins human rights supporters and free speech advocates in opposing these efforts to silence and criminalize speech in favor of Palestinian rights. This week’s court dismissal emphasizes that efforts to censor the boycott movement will fail. More background on the ASA lawsuit is available here. Read the full Memorandum Opinion to dismiss the lawsuit here. The firm Whiteford, Taylor & Preston L.L.P represents the ASA, along with the majority of individual defendants. Mark Kleiman represents individual defendants Jasbir K. Puar and J. Kehaulani Kauanui. The Center for Constitutional Rights represents Steven Salaita. Palestine Legal provided legal and advocacy support to the ASA in the run-up to the vote and in the aftermath of the resolution’s success, as Israel advocacy organizations launched vigorous campaigns to punish the ASA and deter other academic organization from passing similar resolutions protesting Israeli policies. Read CCR’s press release on the lawsuit here.